What is Germany's PEGIDA movement? PEGIDA has garnered significant support after the 2015 influx of refugees in Germany. They fight what they say is the growing influence of Islamisation in Europe. 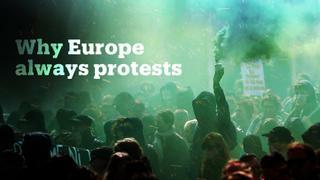 Why are there always protests in Europe?